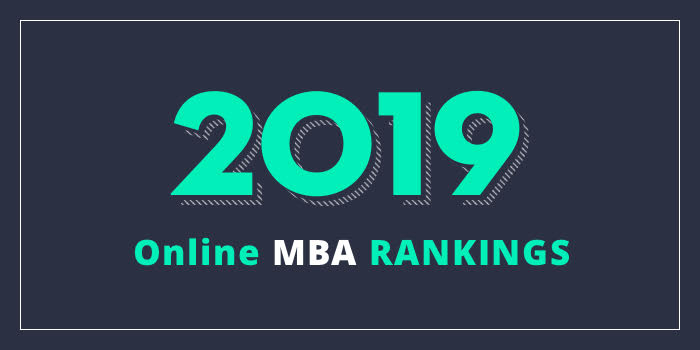 Our 2019 rankings of the Top Online MBA Programs in Alabama. For an explanation of ranking criteria, click here. The Raymond J. Harbert College of Business at Auburn University offers a video-based Distance MBA that may be completed in 2.5 years, part-time. The 36 credit hour program offers an optional three-day orientation at the beginning of the program and a three-day on campus residency on the Wednesday, Thursday, and Friday before graduation. Otherwise, all coursework for the program is delivered through the University's online student learning platform CANVAS. Students use CANVAS to view lectures, work with team members on group assignments, ask questions and hold discussions with professors and classmates, submit homework, and access course materials. The lock-step curriculum allows online students to watch the exact same lectures, take the same tests, and communicate with the same professors as on-campus students. Students can live-stream classes or choose to watch at the time most convenient for them. Courses are taken at the students own pace, with most online students taking one or two classes each semester. The curriculum includes a mix of core business classes and business electives and the final semester includes the Capstone Course, where groups of MBA students provide consultation to a number of real businesses on various topics. In addition to optional concentrations in Finance, Marketing, Management, Information Systems, Supply Chain, Business Analytics and Human Resource Management, this AACSB-accredited program offers dual degrees (MBA/MS) in Finance, Information Systems, and Industrial and Systems Engineering. Graduate research assistantships, which are awarded annually, are also available. The College of Business at University of North Alabama (UNA) has two online MBA options—a regular MBA with the opportunity to specialize in one of nine concentrations and an Executive MBA (EMBA) for individuals with significant business experience who want to improve their leadership and management skills. Both programs are also delivered in hybrid format. The EMBA requires at least five years of work history demonstrating increasing responsibility and professional or entrepreneurial positions. There are no GMA/GRE requirements for the program and it consists of 34 credit hours. The regular online MBA requires professional experiences or the GMAT/GRE. Concentrations for the 34 credit hour program include Accounting, ERP Systems Using SAP, Finance, Global Business, Health Care Management, Human Resource Management, Information Systems, Project Management, and Sales and New Business Development. The AACSB- and ACBSP-accredited UNA MBA also allows students to build their own MBA by choosing three electives in lieu of a concentration. UNA EMBA students have the opportunity to study abroad in China through partnerships with Pepsons Education Consulting Co. Ltd. in Suzhou and IUC Global Corporation in Taipei. Instructional materials for the study abroad program are available in Chinese and English.